Home/Property Financing-iFinancing your dream home gets easier with Commodity Murabahah (CM) Home/Property Financing-i. Which financing is suitable for me? Start building your home and property here. Fixed profit rate at 3.50% p.a. *NOTE: The Bank may require up to 6 months of income statement if the income comprise of variable components. Minimum Entry age of 18 years old and up to 70 years old upon financing maturity for all individuals, joint applicants, residents and non-residents. Satisfactory credit assessment status and financial status. Is developed/to be developed by developers / contractors with proven track record. Development does not contravene local land laws/ Department of Environment regulations. 1) Download and complete the application form. 2) Visit our nearest branches. - Certificate completion of AKPK online financial literacy course from portal “Rumahku” by Agensi Kaunseling dan Pengurusan Kredit (AKPK) the point of financing application submission of for all applicants. Profit Rate Whole Tenure: Fixed at 3.50% p.a. Under this Fund, eligible home buyers could obtain financing at a concessionary rate. Under this Commodity Murabahah My First Home Financing-i, eligible first home buyer(s) could obtain financing up to 100% financing. 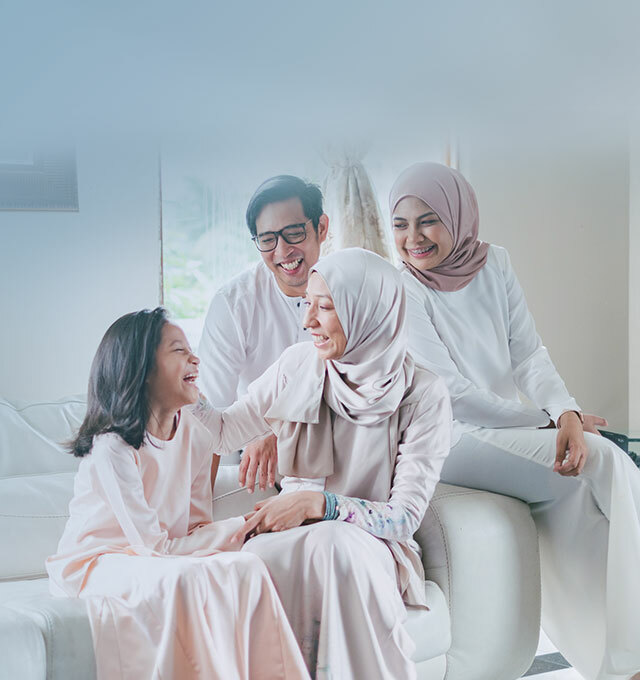 This guarantee scheme enables applicant(s) with monthly gross household income of up to RM5,000 (to purchase homes of up to RM300,000) and RM10,000 (to purchase homes of up to RM500,000). Age between 18 and 60 years old for single or joint individuals. Satisfactory credit assessment status and financial status. Redraw from excess normal payment and partial payment made towards the payment schedule. Disbursement Fee Include fees for registration of charge, land search and bankruptcy search. Legal Fees pertaining to financing documentations Customer is required to pay all legal fees and incidental expenses in connection with the facility (including but not limited to the preparation, stamping and registration of any security documents and the lodgment and withdrawal of caveats). Provided that the legal firm meets the Bank's minimum criteria, the customer may appoint the customer's preferred legal firm to attend to the preparation of the documentation. However, to avoid any delay in the documentation due to unfamiliarity with the Bank's documentation or process, the appointment of the Bank's panel lawyers is highly encouraged. Under this Equity My First Home Financing-i , eligible first home buyer(s) could obtain financing up to 99.99% financing. + 5% MRTT (Mortgage Reducing Term Takaful).